So, how do we make our money? We make 50% on everything we sell. Whether you have been in a day or 50 years, we all make the same amount on our product. We buy directly from Mary Kay. If you buy a hand lotion for $5.00 you sell it for $10.00. Holding skin care parties is one of the best ways to share this wonderful product. For instance, in a 2 hour party with 3-6 women you could sell anywhere from $200.00-$1,000.00 and you make half. If you could sell an extra $600.00 a week, that is an extra $1,200.00 a month in your pocket. When you begin to share the product you will meet women that want to join your team. When you share this opportunity you are able to earn commissions which are paid to you by Mary Kay Corporate. The amount that you are paid is based on what your team produces. As if it couldn’t get any better, Mary Kay SHOWERS us in prizes! They give away millions of dollars every year in diamonds alone, as well as luxurious vacations all around the world! When you become a Mary Kay Independent Beauty Consultant, you own your own business. That means you get to set your own hours! You work when you want to work. Imagine this: You get to choose who you work with! But when you love what you do, and you do it with your closest friends, wouldn’t you agree that you never work another day in your life? The joy that comes from helping other women enrich their lives and realize their dreams is too great to put into words! Can you believe that you can earn an executive income while reaching out to others? Wow! There are countless stories of consultants who have developed personally in ways that they would have never believed possible! From increased self-confidence to developing leadership skills to spiritual growth, the Mary Kay way of praising people to success fuels all types of personal growth! Our government wants to encourage small business growth, so as small business owners, we get great benefits because we run home-based businesses. This means that you will pay less in taxes because of the tax deductions you get. There are WAY too many to mention here, but they include deducting a portion of your housing expenses (including maintenance expenses & housekeeping! ), automobile expenses, and even dining out! Let me guess: You’re not the sales type, right? Luckily, this business is about building relationships, providing quality products and offering valuable services. Mary Kay teaches you to be informative, not pushy. 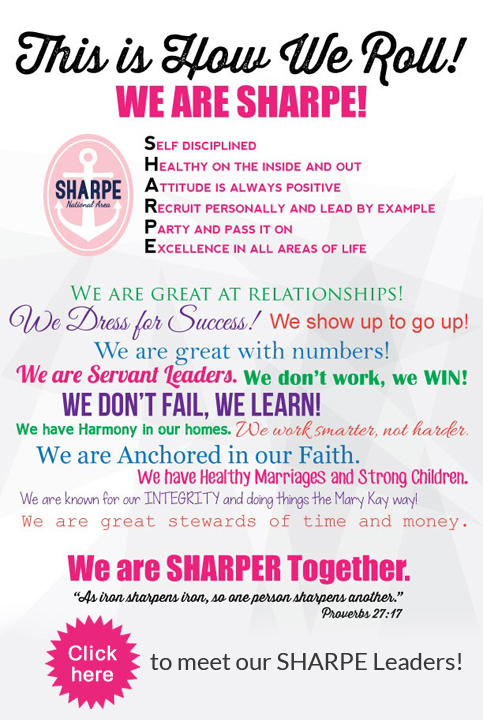 Mary Kay consultants are really more like teachers than sales people. The Mary Kay products sell themselves, we just have to educate our customers about them! If you’re teachable and trainable, you can do it! So where do the customers come from? Mary Kay provides the education and tools necessary to build clientele who want the products and personal service you have to offer. And those customers will keep coming back to you! Did you know that the average woman spends more than $600-$700 per year on the products that you could provide her through Mary Kay? Make-up is only part of the product line Mary Kay offers! A large part of our business is skin care: moisturizers, anti-aging products, etc. Did you know that we offer other things, too? From fragrances to lotions to men’s products, Mary Kay has the products to appeal to the widest range of customers! So who are your potential customers? People with skin! And as a Mary Kay consultant, you get all the products you use at 50% off! Many women become consultants just for personal use! I’m glad you asked! The startup cost is only $100 + tax & shipping! The cost is EXTREMELY minimal when you compare it with what you get in your Starter Kit! You get full-sized products valued at more than $381 retail, enough supplies to facial 30 customers and a stylish black leather tote bag! If you’d like to become a Mary Kay Independent Beauty Consultant, we’d be honored to welcome you to our family! All you have to do is ask your consultant for the agreement, and you’ll be on your way! If you do not have a consultant, please email me and I will take great care of you! There is so much in store for you in your new Mary Kay business! Don’t let another second go by—there’s no time like today! If you continue doing the same thing you’re doing now for another year, where will you be? In the same place! Because if nothing changes, nothing changes—don’t be afraid to take a chance and make a change! I can’t wait to welcome you to our team! Listen to Kristin’s Growing Up Pink.